The website is fully responsive, functional and accessible. Designed to be highly user friendly, Art UK benefits from many different useful features to assist a broad range of audiences. Taking advantage of the Art UK brand (designed by Pentagram), it benefits from achieving a refined and mature aesthetic, while being practical and sensitive to the content it displays. A comprehensible selection of relationships help to navigate and guide the user to engage with the project more. The flow of the site enables the user to explore as much detail around a subject as they want. 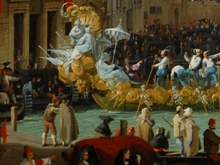 The user is able to seemlesly journey through and discover related artists, artworks, venues, topics and stories. All information available is accessible to the user, including their other artworks, biographies, venues where their artworks can be viewed and even artwork type styles to connect the user with artworks of a similar nature. Venues gives the ability explore countries, locations and venues in the United Kingdom, connecting users with current and upcoming events, exhibitions and stories. 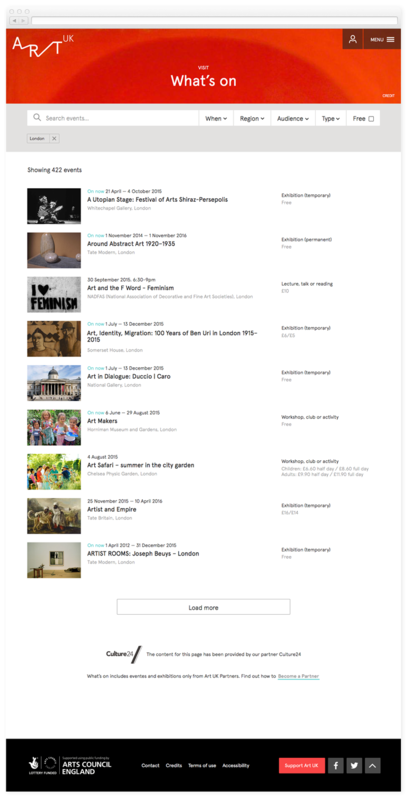 The design is intended to be a platform for audiences to learn all information that is available about art in the UK. 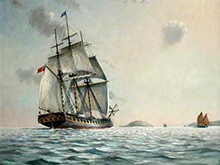 The latest news for what is currently being exhibited is available for all venues across the United Kingdom. 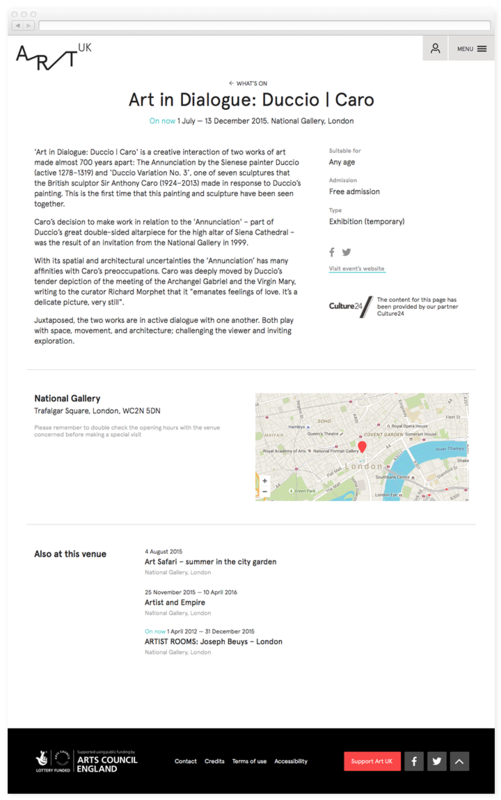 Key information about the exhibitions is available as well as links to buy tickets. 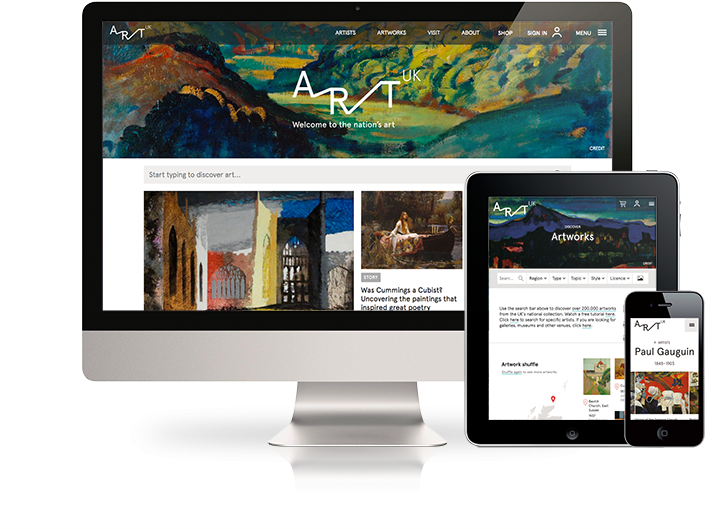 We designed the Art UK content to be interconnected and highly practical for user engagement. The website benefitted from exposure to the public through online articles and newspapers.